Experts Say an FCC Official Broke the Law to Help Trump. Trump Alone Will Decide If He's Punished. FCC Commissioner Michael O’Rielly answers a question from the media after an FCC meeting to vote on net neutrality, Thursday, Dec. 14, 2017, in Washington. The moment Michael O’Rielly took the stage at CPAC and told people who they should vote for, ethics watchdogs say he broke a federal law. But in an administration that has regularly thumbed its nose at ethics rules, it’s hard to imagine anyone will care. And that’s when election ethics experts say he broke the law. The Hatch Act, passed in 1939, expressly forbids federal employees from engaging in partisan political activity while on the job. The punishments for violating the Hatch Act are often severe. Suspensions and even forced resignation are not uncommon. But in this case, since O’Rielly is a presidential appointee and policymaker confirmed by the Senate, it falls solely on President Trump—the person the commissioner urged the crowd to vote for—to decide what, if any, penalties are appropriate. On Friday, the nonpartisan watchdog group American Oversight filed a complaint with the Office of Special Counsel (OSC), which is charged with evaluating these types of infractions. 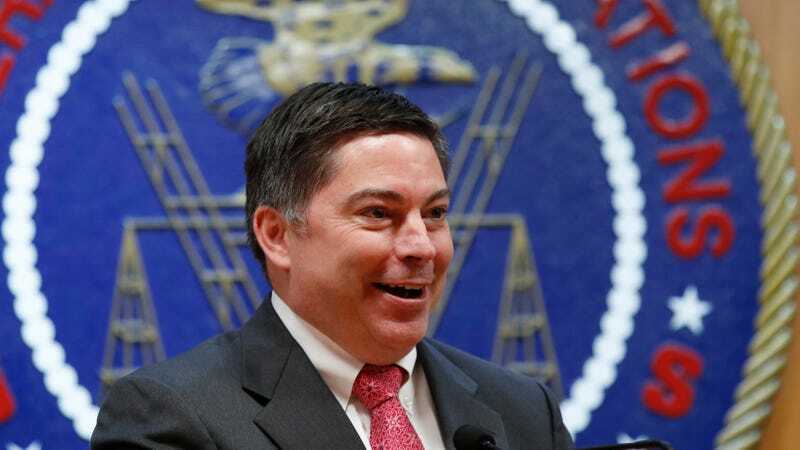 “Commissioner O’Rielly’s naked partisanship fundamentally undermines the independence that is supposed to be at the heart of the FCC’s work,” said Austin Evers, the group’s executive director. Hatch Act violations are not rare. The federal Merit Systems Protection Board (MSPB) or OSC typically decide the fate of violators, who are routinely banished from government work. A month ago, a judge on the board ordered the removal of a National Oceanic and Atmospheric Administration (NOAA) employee who “repeatedly” ran for office while on the job. In a similar case, the OSC handed an Army Corps of Engineers employee a 112-day suspension for essentially the same offense. In 2014, the Federal Elections Commission (FEC) filed a complaint with the OSC after one of its own attorneys posted “dozens of partisan political tweets” including several soliciting contributions to President Obama’s 2012 reelection campaign. The attorney was forced to resign. But in each of these cases, the MSPB or OSC had sole authority to determine what punishments were necessary. In O’Rielly’s case, it is President Trump who wields that authority—the very person whom O’Rielly was working, illegally, to help get re-elected. In a presidency that demands loyalty oaths from public servants and the personal allegiance of officials whose roles are meant to be independent from the White House, it’s fair to say we all know what happens next: Nothing. Absolutely nothing will happen next.